Frozen food sales experienced a decline starting in 2013, but since last year, they have started to make a comeback. Frozen foods have had to overcome a reputation of being less healthy than their fresh counterparts, but the science has shown that, for example, frozen berries are as healthy as fresh ones – while giving consumers more flexibility in how soon they use them. Millennials are at the forefront of the resurgence of frozen foods. The variety of products available in the frozen aisle is greater than ever, and Millennials with kids have discovered how well frozen foods work in meal planning and in ensuring their families have constant access to a variety of foods. 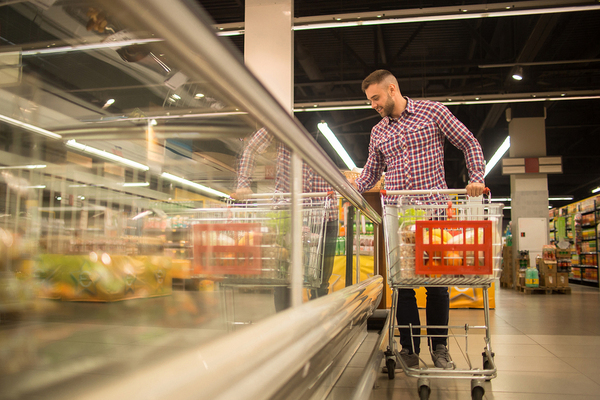 Mostly, however, consumers cite one overwhelming reason why they’re shopping in the frozen aisle more, and that reason is convenience. Consumers like the flexibility of packages of single types of frozen foods, such as frozen broccoli, frozen fruit, or frozen ground beef patties. These foods can be eaten on their own or as part of a recipe, and there are far fewer worries about them going bad. People with children love the convenience of frozen breakfast items that make it easy for their kids to have a hot breakfast. They also love the convenience of frozen dinner items that make meal preparation easier after a long day. And when frozen food brands package their products with sustainability in mind, they earn extra points for appeal with the sustainability-minded Millennial generation. As important is consumer wants are, also important are the things that consumers don’t want in their frozen foods. Antibiotics, hormones, preservatives, and sodium top the list of what consumers avoid when choosing frozen foods. Frozen foods of older eras (like the classic twentieth-century TV dinner) weren’t known for being very tasty or healthy, and many choices locked consumers into fixed meal choices that may have had unappealing components. Today’s consumers prefer buying frozen versions of the fresh ingredients they use, because they can combine them how they like in the recipes they enjoy. The exception would be frozen appetizers and snacks. Frozen mini-quiches, dumplings, or stuffed jalapeños are perfect for spur-of-the-moment cravings, plus they can be quickly prepared when guests drop by. The frozen food aisle can be aesthetically appealing with the use of lighting, wide aisles, and attractive end-cap displays. Retailers can also showcase variety, by pointing out their selections of healthy frozen foods, and international dishes that consumers might not expect to find. Beautiful food photography and attractive signage can also encourage consumers to spend more time in the frozen food aisles. By positioning frozen foods as a solution to problems like, “What can I get on the dinner table easily?” or “How can I make sure I have enough carrots on hand for the Bolognese sauce the kids like?” manufacturers and retailers can seize the opportunity for expanding the importance of this food category. Making the frozen aisle spacious, attractive, and convenient can also entice consumers to check out what’s on offer. Hangar12 is at the forefront of CPG marketing strategy and more. Subscribe to our blog to stay up-to-date with our latest insights.